We welcome the opportunity to collaborate with you to design something uniquely your own, bringing your ideas to life. Take the first step towards making a joyous occasion even better and call us today -- you deserve it! Amazing chocolate cake for a biggg Sofia lover. Thanks for making our day Kravings!! 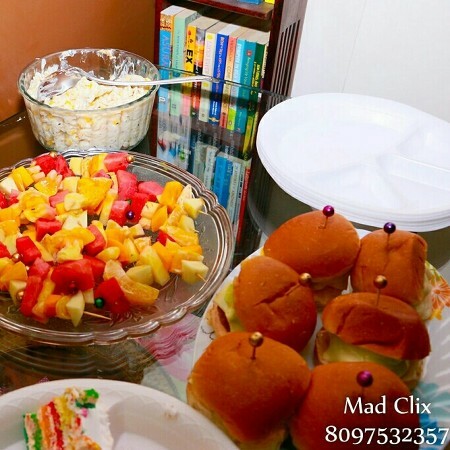 It was my kids 3rd birthday and Theresa (lovingly known as Tree) .. painstakingly crafted the menu to cater to all the ages..
And made the party super duper special..
Do try her.. You wont be disappointed..
Theresa is an amazing cook. hee daal pakwaan and white sauce pasta is to die for. also she does amazing cakes and cupcakes. u have 5 people or 50 people coming over.. she is ur go to person for all sorts of catering.